Whitney McVeigh (b. 1968, New York) lives and works in London where she is a Fellow in Creative Practice at University of the Arts, London. 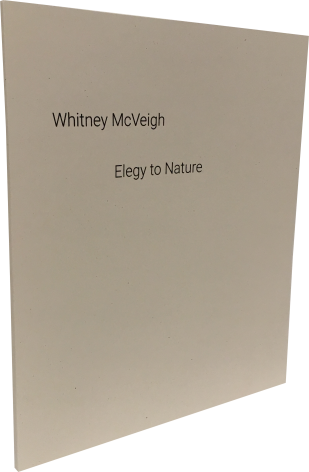 In April 2018, concurrent with Elegy to Nature at Eykyn Maclean, McVeigh’s work will be shown alongside that of Mike Kelley, Jeff Koons, Paul McCarthy, Raymond Pettibon, and Michelangelo Pistoletto, in a group exhibition at the Getty Villa, Los Angeles, entitled Plato in LA: Contemporary Artists’ Visions. Also in the spring of 2018, McVeigh will guest-curate Documentum, co-founded by Stephen Shore, William Boling and Dawn Kim, a periodical archiving and examining the cultural ephemera of our time. 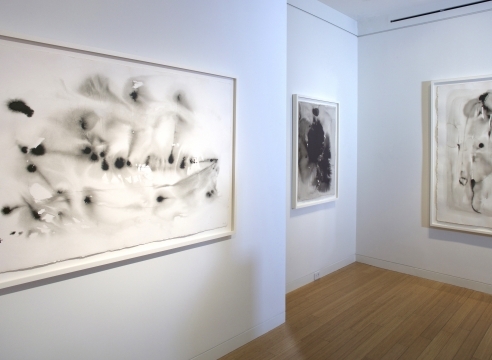 Recent solo exhibitions include Language of Memory at Summerhall Arts, Edinburgh (2015-16) and Inventory: Invisible Companion at Kettle’s Yard, Cambridge (2015). Group projects include Not a single story, Wanas Konst, Sweden and Nirox Sculpture Park, South Africa (2018), and Glass Stress, White Light White Heat at the 55th Venice Biennale (2013). McVeigh presented the short film ‘Birth’: Origins at the end of life at the Royal Academy of Arts, London (2015). She was featured in BBC4 television documentary, Where is Modern Art Now alongside Grayson Perry, Cornelia Parker, Michael Landy and Sir Anthony Caro (2009) and in 2007 gave a short presentation of her work at Louise Bourgeois’ Salon in New York.